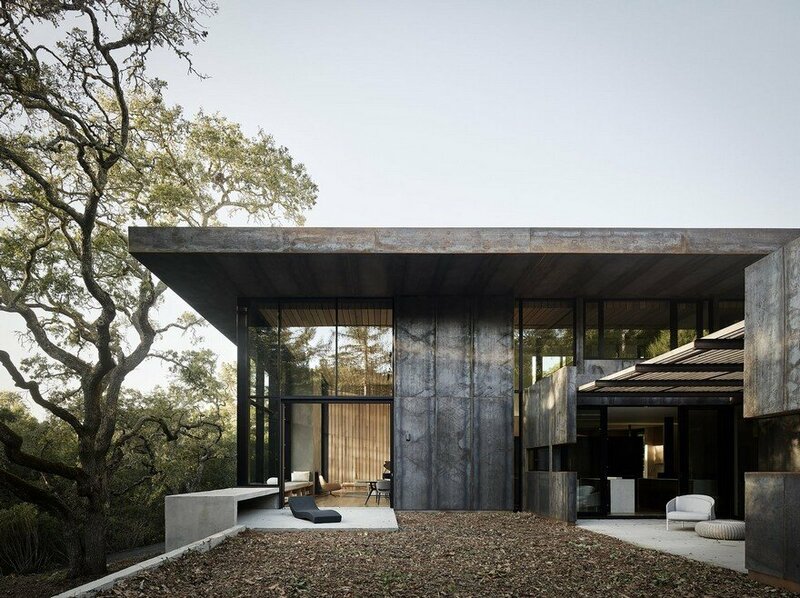 Due to the steep incline, the age of the structure, and foundational degradation, the existing home was in critical need of costly structural and shoring upgrades. 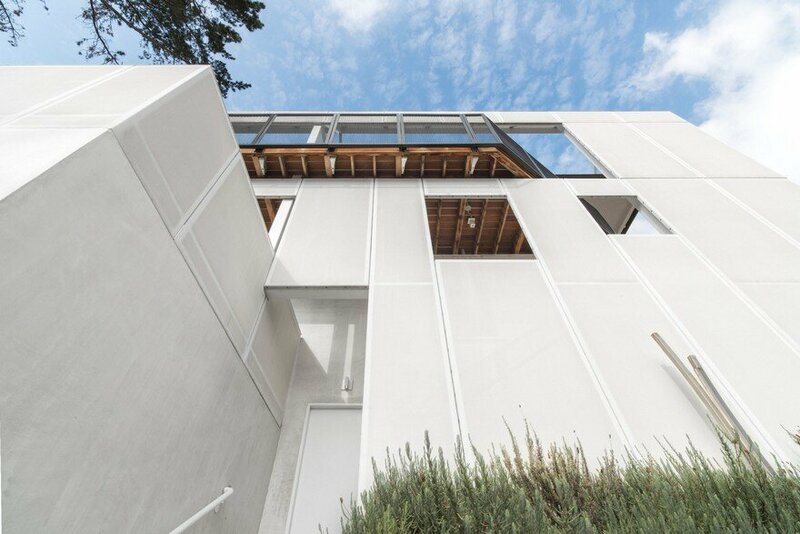 Capitalizing on these requirements as an opportunity, LOHA introduced a steel structure sitting on a series of strategically positioned independent footings and retaining walls to shore the house while providing the substructure for a translucent fabric screen enclosure. 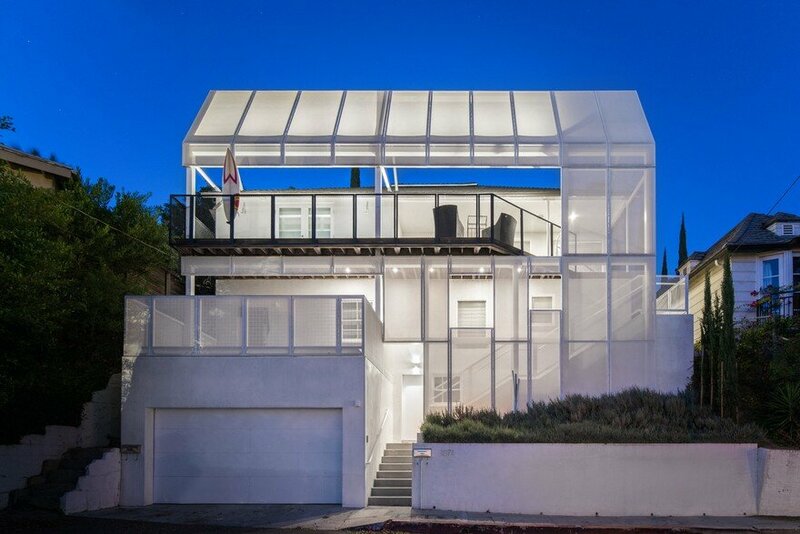 LOHA designed the semi-detached translucent screen to bring a new identity and visual cohesion to many performative aspects of the project: provide privacy and specific views out through layered openings, protect the existing house from direct sun and heat gain, and add an intermediary space to enclose outdoor decks and a new circulation route to the front entry. 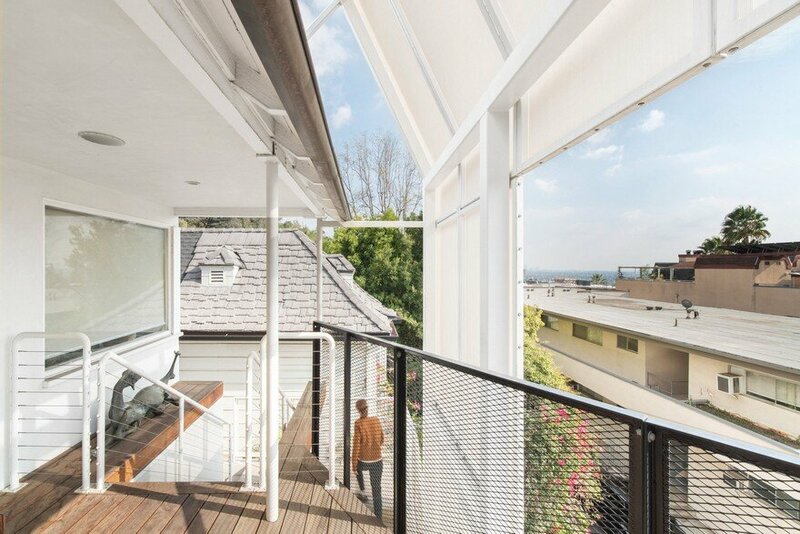 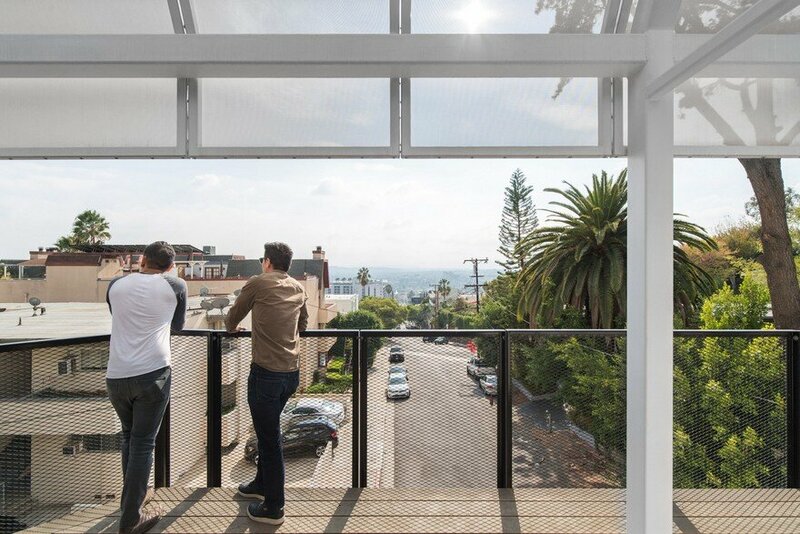 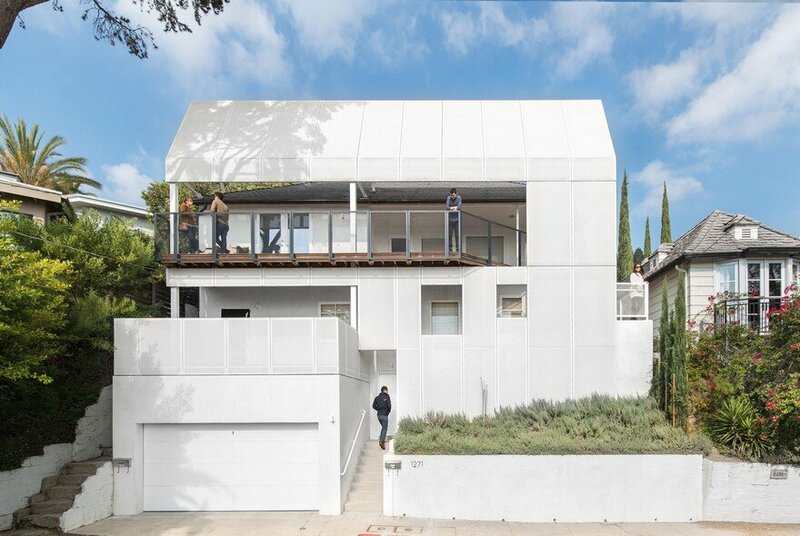 The building envelope is articulated through openings in the fabric and the push-pull play between the screen and the outdoor decks, strategically placing social spaces to take advantage of the views out towards downtown and the west side of Los Angeles. 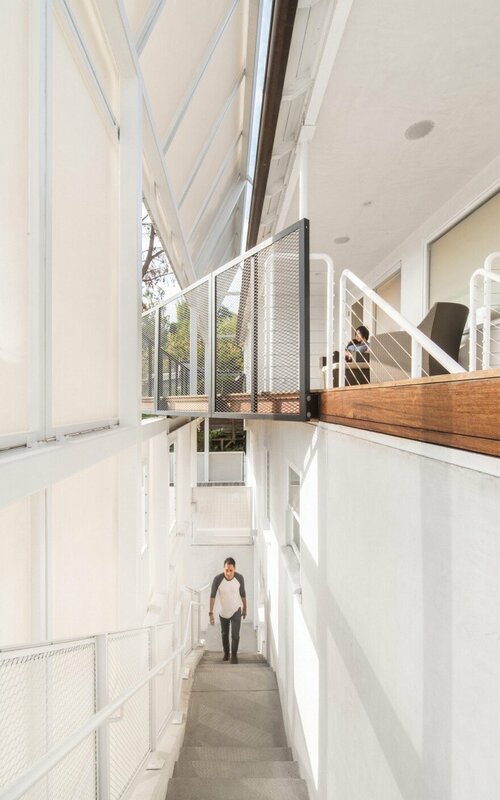 The screen captures cast shadows and reflects changing light throughout the day while protecting the south-facing, existing building and interiors from excess direct sunlight. 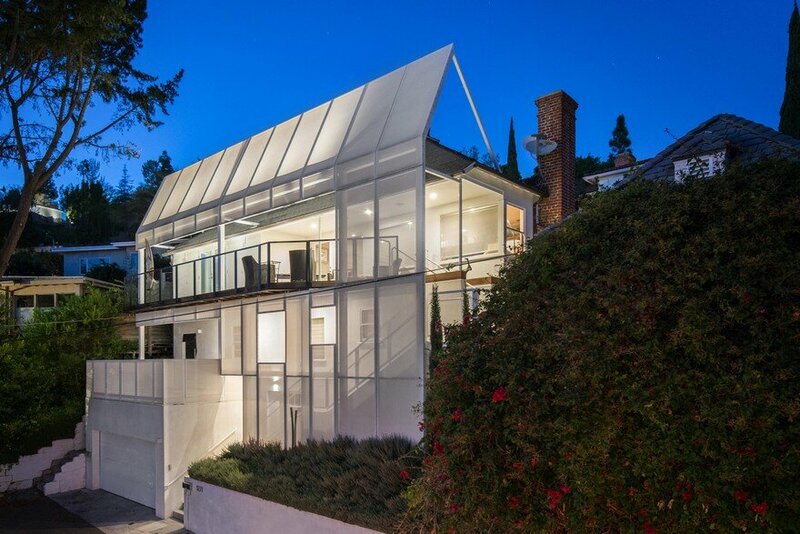 At night, special back-lighting on the screen regulates the degree of transparency and opacity to provide privacy and control over views in and out. 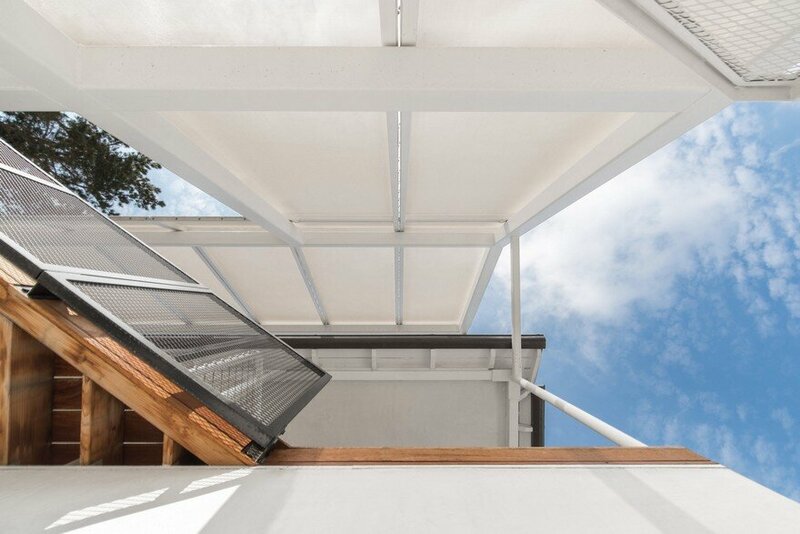 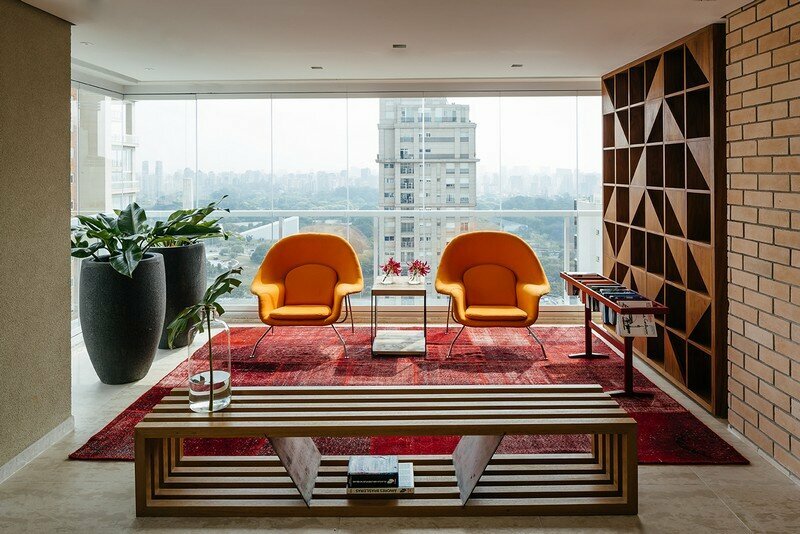 Internally, LOHA reorganized the traditional floor plan to perform for the client’s needs and position the new outdoor additions as an extension of the interior living spaces. 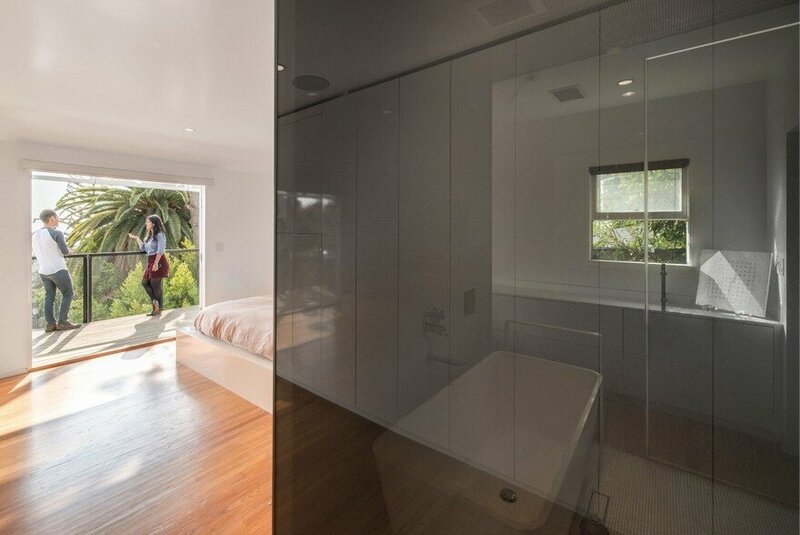 Directly accessible from the top deck, LOHA renovated the master suite, including a unique shower enclosed in tinted glass that contrasts against new, white custom cabinetry. 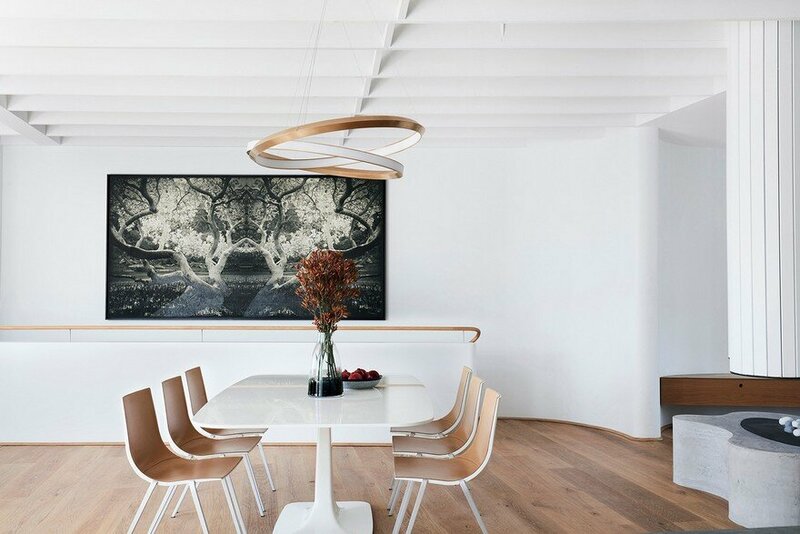 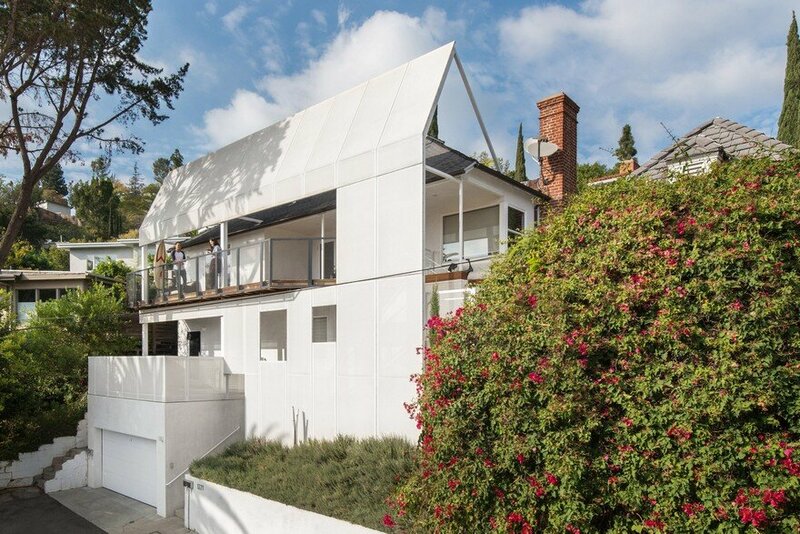 Alongside LOHA’s addition and renovation of an 1847 coach house in Dublin and the firm’s restoration of Julius Shulman’s home and studio, the AD House is in a series of projects reimagining historic, existing structures for contemporary use.